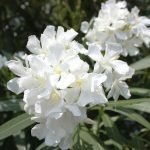 Oleanders are hardy trees suited to the southern United States that once established require very little care and is remarkably drought tolerant. They are not only relatively care free, but produce aromatic blossoms in a slew of colors set off by their deep green, large, leathery leaves. How about watering an oleander? Since they are drought tolerant, how often do you need to water oleander bushes? Read on to learn more. Oleanders grow anywhere from 6-12 feet tall and wide and some up to 20 feet tall. They are suited to the west coast, southern states, Florida and Texas. As mentioned, they tolerate dry conditions as well as wind and salty or marshy soils. They bloom from summer through to fall, punctuating the landscape with their colorful blossoms and heavenly scent. They are cold hardy down to 15-20 degrees F. (10 to -6 C.), although there will be some damage at those temps. Luckily, oleander will generally bounce back from any frost damage. They can be grown in USDA zones 9-11. All this uncomplicated, effortless growth on oleander’s part may make you think you don’t need to do anything to care for the tree. Think again, even an oleander has irrigation needs. Okay then, so what are the requirements for oleander watering? How often do you need to water oleander bushes? It is a fallacy that you do not need to be watering your oleander plants. It is a simple jump from learning they do not need much water to the idea that you need not be watering an oleander. The truth is that while they will withstand a lack of water, they certainly aren’t at their best. They begin to drop their foliage, leaving the tree with an open canopy. This is a signal that they aren’t very happy. The great news is that with some adequate irrigation again, they quickly bounce back. So how much should you be watering oleander plants? They like to be watered as much as you would water your shade trees – deeply every three days. To aid in water retention, create a reservoir or dike that is 2-4 inches tall around the trunk of the tree. 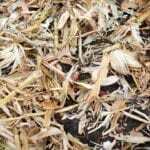 Also, if it is especially arid and has been, mist the plant to help stave off defoliation. If you know that you are going to go into a particularly hot, dry stretch, you can prune out 1/3 to ¼ of the foliage. Remove any growth at the tips that is young or tender and would easily dry out. Most established oleanders will have little trouble with drought conditions but be aware that they do affect the plant. You will likely have reduced growth and limited flower production during these times. Watering your oleander plants with a supplemental 1-2 inches per week during dry weather will promote growth and more profuse flowering.